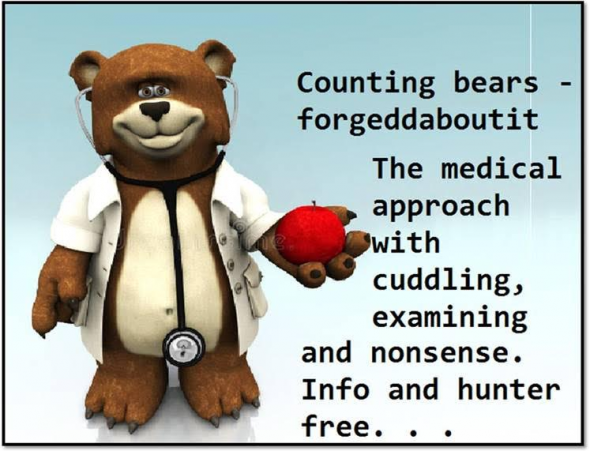 Doing Nothing About Maine’s “Too Many Bears” And What’s Up With Electronic Tagging? Let’s start with the Maine Department of Inland Fisheries and Wildlife’s (MDIFW) new system of electronic tagging so that the Department can have essentially real-time harvest data. I mentioned in a previous post about this new system where MDIFW stated it would benefit hunters, etc., that it would remain a mystery as to whether MDIFW would be eager to share their new-found electronic toy with the general public. Evidently not. Today I read where Maine has harvested 2,627 bears as of September 17th. 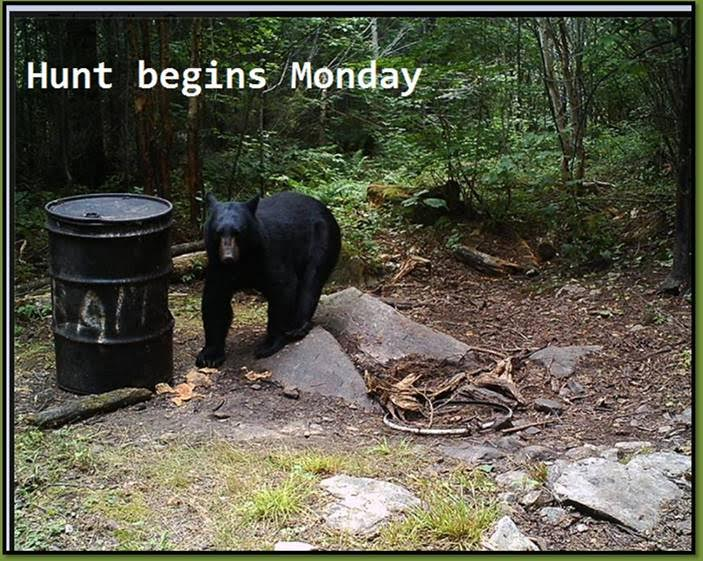 The major bear hunt, with the use of baits, where the majority of bears are taken, ended on September 22nd and yet MDIFW has not shared with the public the harvest numbers. Hmmm! New system malfunctioning? MDIFW up to their usual power control tactics? To get this bit of information came from a news media platform, which, evidently is privileged to access to this information (not beneficial to hunters) or they had to call MDIFW and beg and plead for the information. There is nothing on the MDIFW website that shares harvest data. Perhaps we can now get it from them BEFORE the start of next season’s bear hunt and not sometime after. In this same Internet article, it states that Maine’s bear hunt is “successful” but that the population is still growing. Is this MDIFW’s intent, to grow the population even more? If not, just what is MDIFW seriously doing to solve this problem? If they wait long enough, a disease will take over and do the job management should be doing. But we know that MDIFW’s hands are tied because of the policies they employ of meeting the social demands of environmental groups. In addition, MDIFW is controlled by Maine’s guides and outfitters who tell the department what they want in order to maximize their profits, even at the expense of the scientific need to actually reduce the bear population. I refuse to provide a link to her propaganda as it is not worthy of any recognition beyond expressing my complete disgust that any print publication would allow such unsubstantiated drivel to be published in their paper. Not one shred of evidence was provided by the author to back up her ridiculous claims about bears, bear behavior, hunting, or trapping. The claims are so bizarre that the newspaper should have questioned the content and sought some kind of substantiations to support the claims. One can only hope that enough readers will see the work for what it is and toss it in the garbage where it belongs. All are entitled to an opinion. Such opinions presented in this fashion are nothing more than agitprop drowning in emotional animal perversion proselytizing. Shame on the Bangor Daily News for giving this inculcation space in their paper. 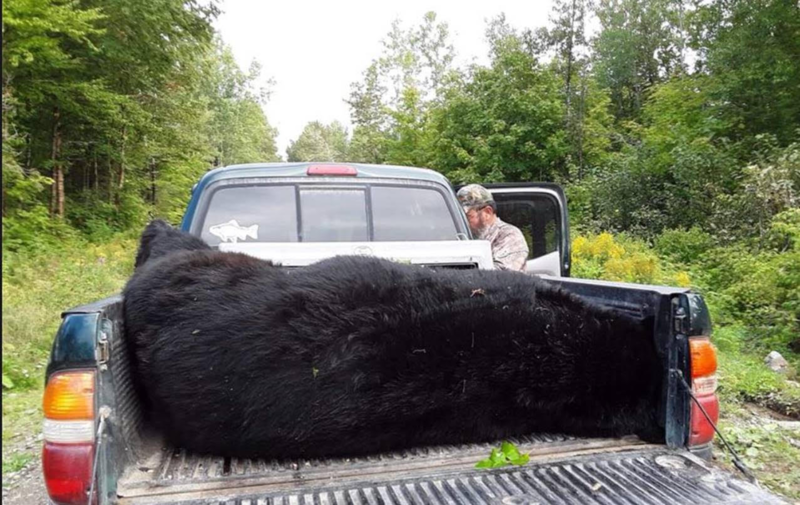 I am told that this 552-pound black bear was tagged at Tyler Kelly’s Camps in Allagash, Maine. While it is important to understand the economics associated with all hunting, fishing, and recreational activities, we shouldn’t allow this to upend the scientific and public safety reasons that should be associated with bear management. I often lament over the Department of Inland Fisheries and Wildlife’s (MDIFW) decision to allow social demands to drive their management decisions. Allowing the demands of guides and outfitters to direct management decisions is no different. In addition, I’m not so sure that offering a Spring bear hunt would be so potentially devastating to the bear guiding and outfitter businesses as well as lodges and “ancillary service providers.” Are these businesses so inflexible and mired in the way they’ve always done things that adjustments can’t be made – perhaps even adjustments to pad the bank accounts a bit more? It reminds me of people I know whose business was struggling. They voiced concern that they didn’t know what they were going to do to stay in business. When I asked questions about what things they had tried to improve business and offered some suggestions, their comment was, “we’ve never done that before.” End of discussion. The end result in all of this is that MDIFW continues to express their wish to increase bear harvest in order to better stabilize the bear population. They boast of how long the season is and the different opportunities bear hunters have, while at the same time telling us the low success rate of taking a bear and how that rate fluctuates depending on demographics of the existing season, i.e. food availability, etc. 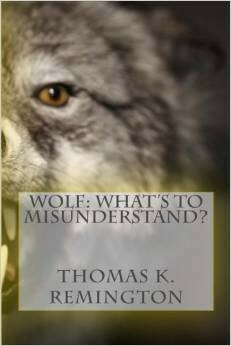 Perhaps an attempt at offering bonus tags or simply a two-bear bag limit that does not include taking one by trapping. It may sound generous to offer a two-bear limit, one by hunting and one by trapping, but bear trapping is, at least has been so far, a negligible part of the bear harvest with little hope of increased interest. 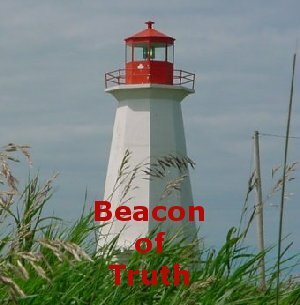 Is it more cost effective to increase the bag limit during the existing bear season or to have a second complete bear hunting season? Don’t bear hunters want to tag two bears? Time to hunt is limited for most. If during that time a hunter has the chance to take two bears…why not? It just seems that although concerns are being expressed about how to further reduce and stabilize the bear population, little is being done to accomplish that – just cheap talk. Maybe it’s because there is so much focus on babysitting the guide and outfitting businesses responsible decisions aren’t being made that are in the best interest of bear management. 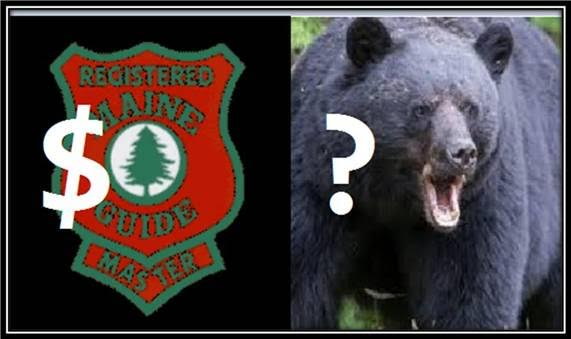 Just last week I discovered that the Maine Department of Inland Fisheries and Wildlife (MDIFW) has sent out a questionnaire to Maine bear hunters asking whether or not they would kill two bears if the bag limit for black bears was raised to two bears during the firearms season. At that time my comments were that MDIFW appeared to be finally getting around to doing something about an overgrown state bear population. However, I’m not holding my breath, even though many of you would like me to. Listed below, in no particular order, are a handful of what we might see from special interest groups and politicians if a Spring bear hunt or an increase in bag limits is suggested. 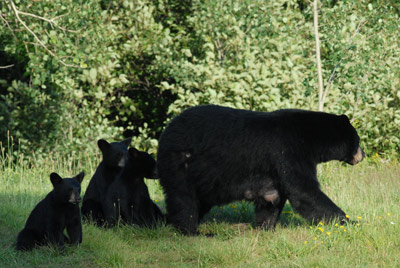 If a Spring Bear Hunt were proposed here’s what we might see. The MDIFW would have to come up with a calculated guess as to how many bears they would like to have taken in a Spring Bear Hunt. Let’s say the Commissioner decides 1,000 bears needed to be culled. It is determined, by science or magic, that the success rate might be 30%ish, as this is a number guessed at in the past. That means Maine will need around 3,000 eager licensed bear hunters, hoping to take 1,000 bears. That means 3,000 Spring Bear Hunt Permits (money). If we administer this as has been done historically, Maine would offer a bear lottery. It would cost each applicant $10.00 (or why not $20.00? )to apply for one of the 3,000 permits. 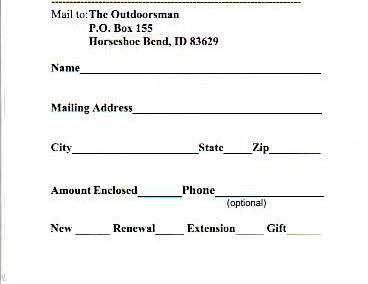 If successfully drawn, each winner would have to purchase a Spring Bear Hunting License. Because it now costs more to “manage” bears in Maine (and conduct a lottery), that “special” bear license is going to cost each hunter $45.00. But don’t get your hopes too high, even if you don’t mind spending whatever sum of money the government thinks you should have to spend because all these special interests will get a certain number of permits to hand out for votes. Permits for the Spring Bear Hunt will be divided accordingly among, seniors, juniors, Quakers, Shakers, Muslims, guides, outfitters, veterans, veterans with disabilities, landowners, retired cops, retired politicians (only one term will do), left-handed people, those with green eyes, and anyone who thought up all this foolishness. I’m sure I left many special interests off the list. What is left are 50 bear permits and MDIFW will auction off 40 of those permits to raise money for feed the hungry, feed those who won’t work, feed those with privilege, etc. 10 of the permits will be set aside for the elite auction where all the cronies gather together to administer political favors and paybacks. Of course, the elites will get the first two weeks of a Spring Bear Hunt all to themselves and will be guided by those guides who yelled and screamed the loudest that they can’t afford a Spring hunt. Guides will be paid with Pittman-Robertson money claiming that money is going to responsible game management. This is just a small sampling of how the politics of hunting easily overpowers the science. So, you think you want a Spring Bear Hunt? Gather ’round kids and keep me safe!